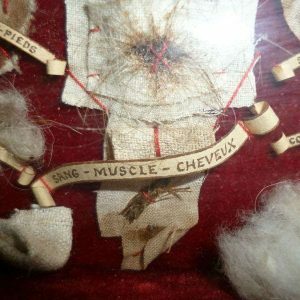 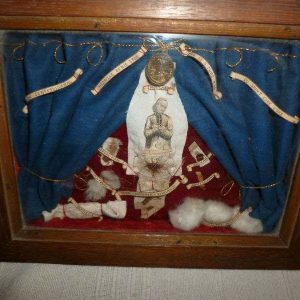 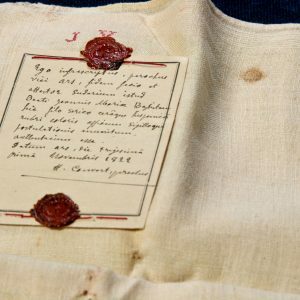 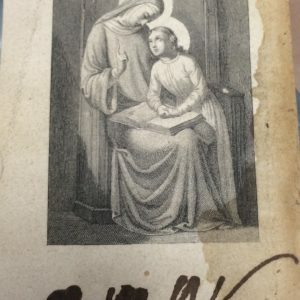 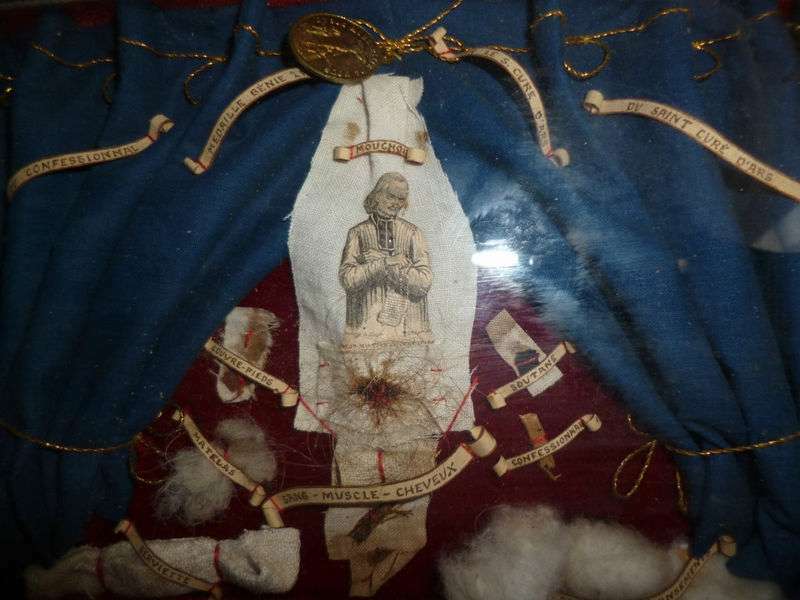 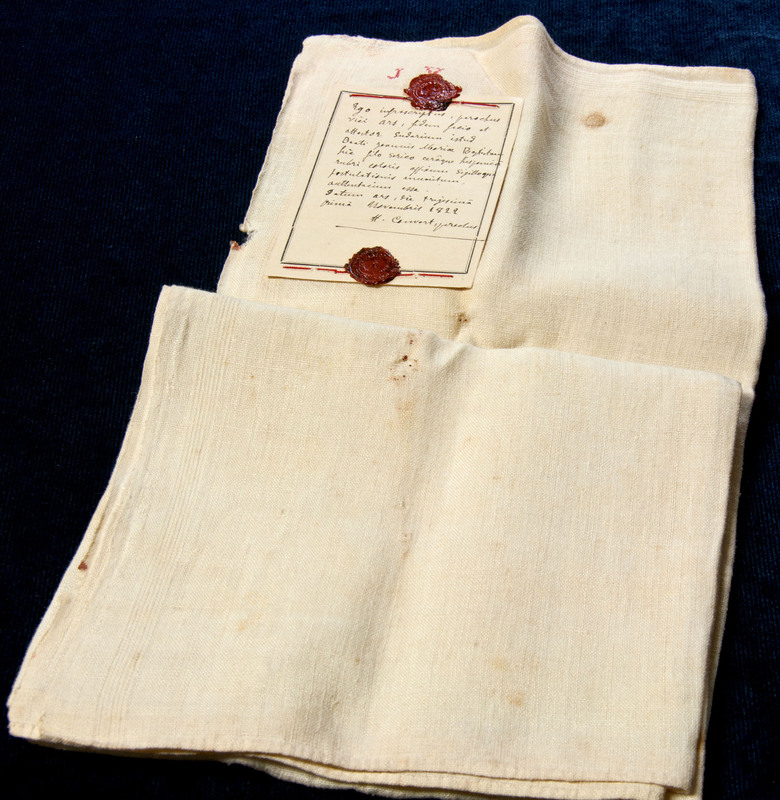 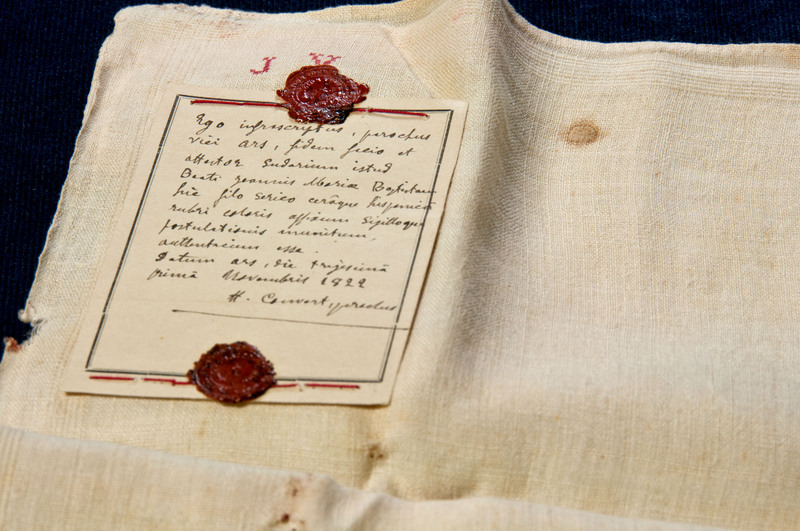 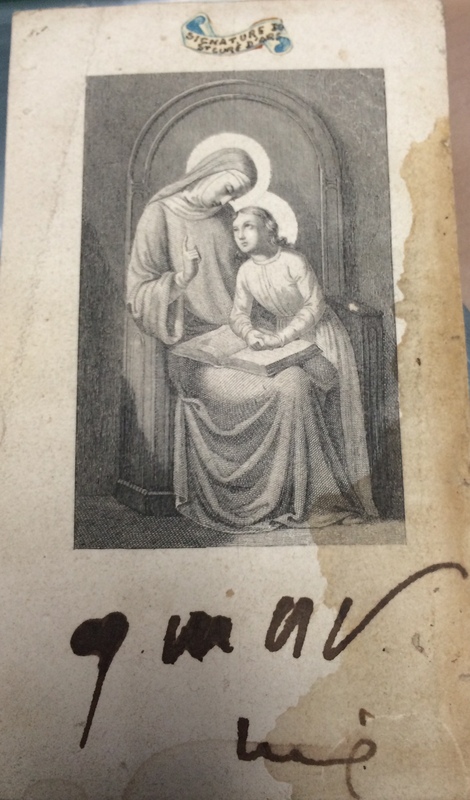 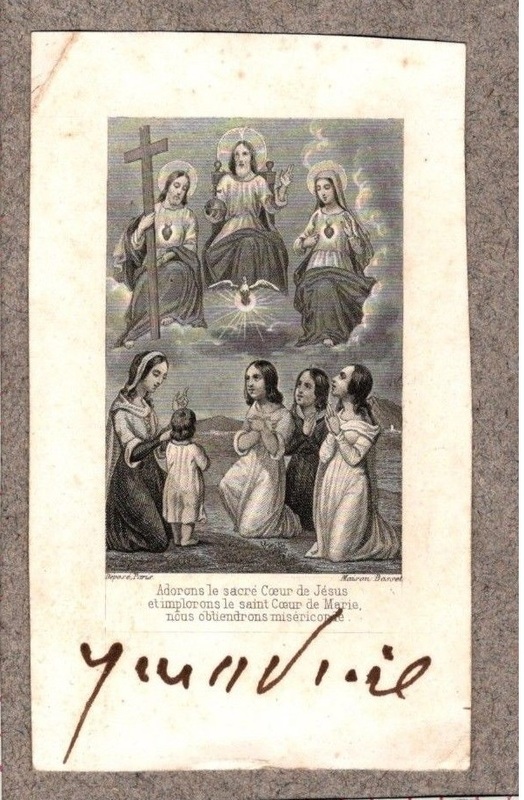 Among the most treasured items are those belonging to St. Jean Vianney, the patron saint of parish priests. 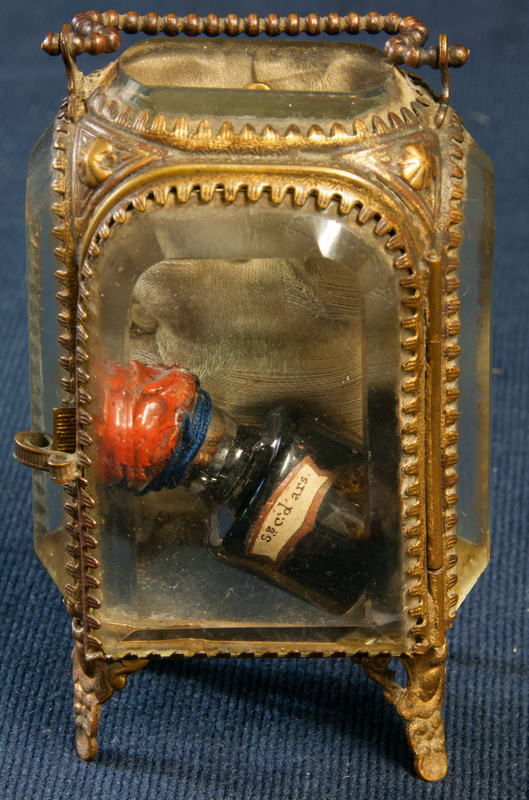 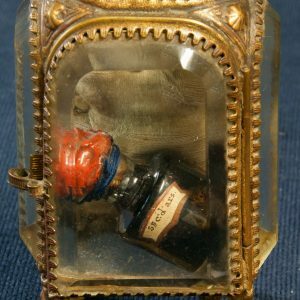 Below you will find images of those items, which include his actual breviary and a vial of his blood. 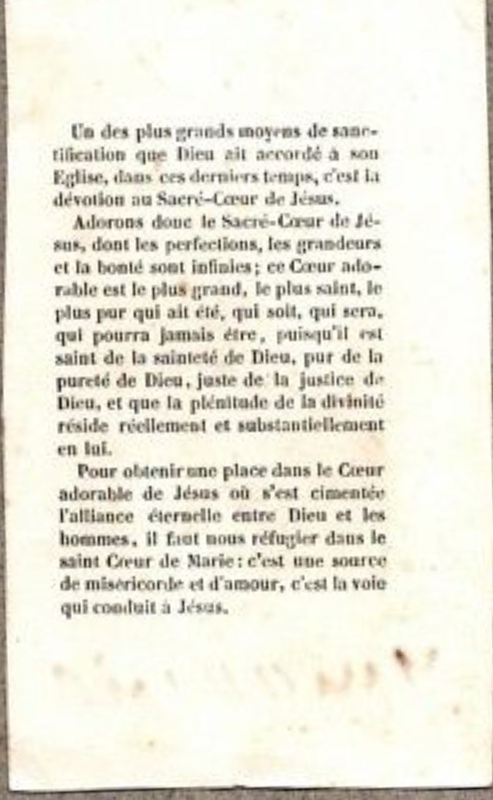 And today we take a look at two legal documents he had prepared, offering spiritual consolation in perpetuity for the people mentioned in them. 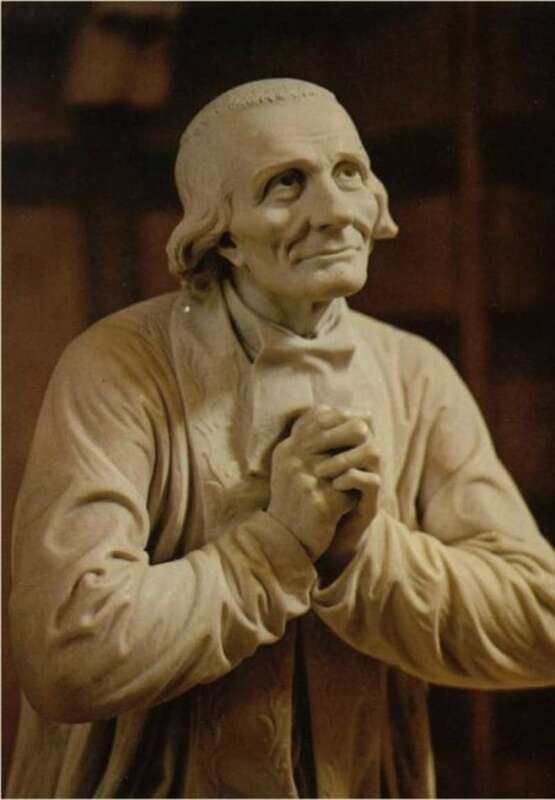 You are viewing legal arrangements to celebrate annually low masses for the intentions of the donor, Jean Vianney. 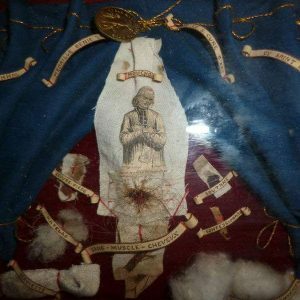 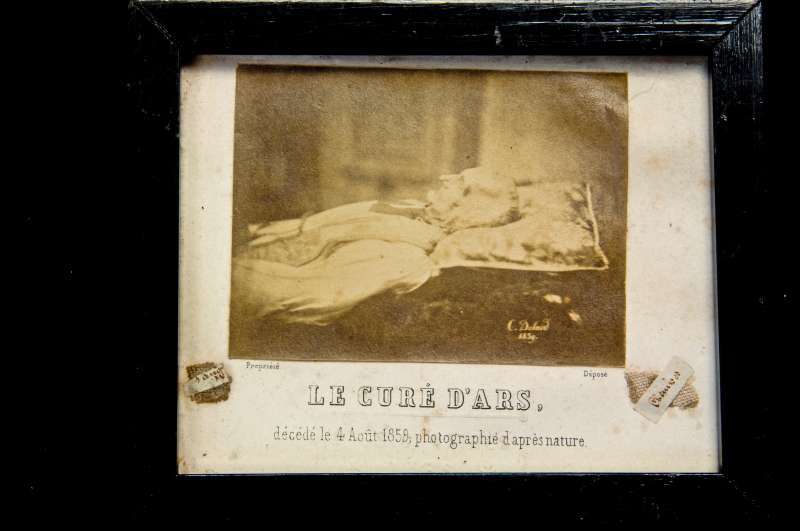 In these legal arrangements–which were a common occurrence at that time in history–Pere Vianney makes clear two spiritual issues important enough to him to be prayed for in perpetuity. 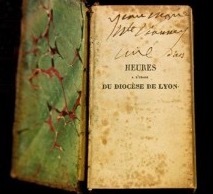 These are legacies (gifts) from Jean-Marie Vianney for masses to be said in perpetuity, which would be paid for from the interest accrued from his original gift. 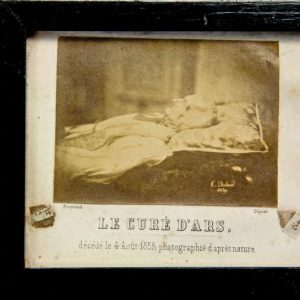 This was a very common occurrence that often in wills, people set aside money for the saying of masses, usually for the soul of the departed, but in this case, for other reasons. 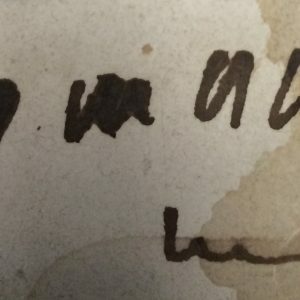 It is like a will. 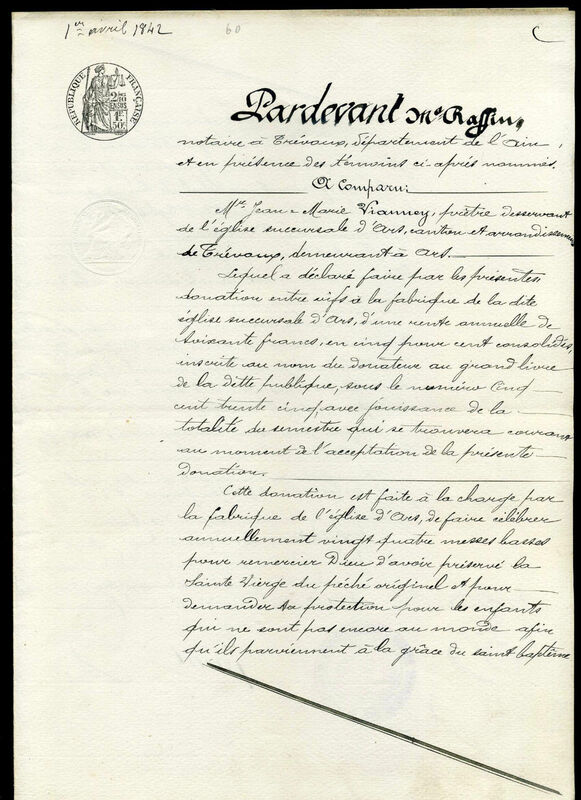 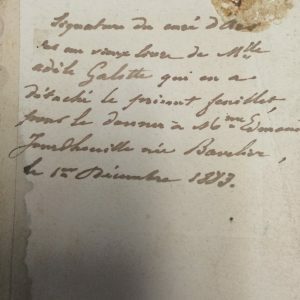 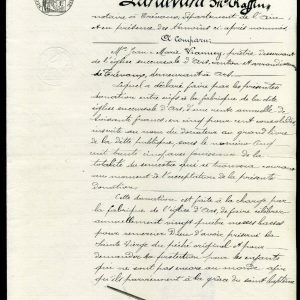 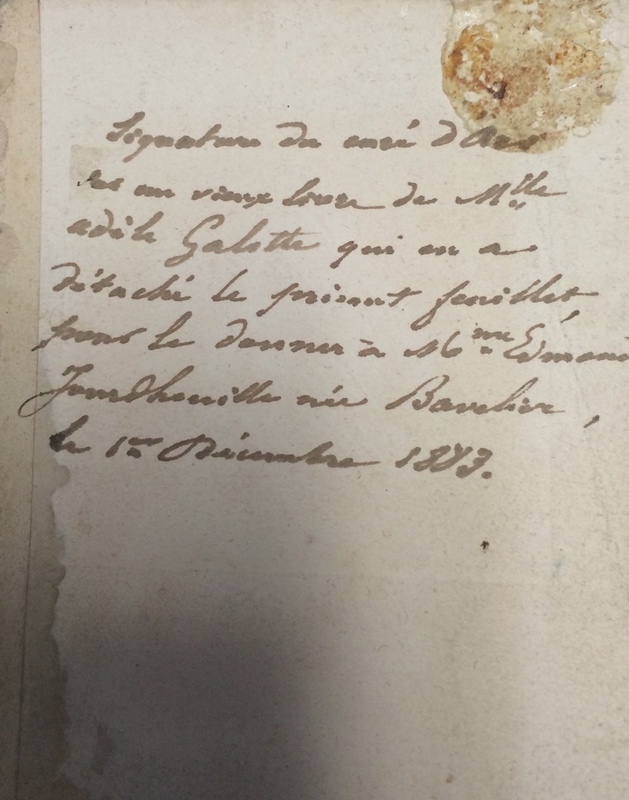 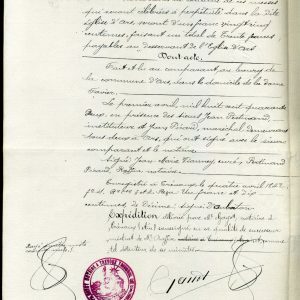 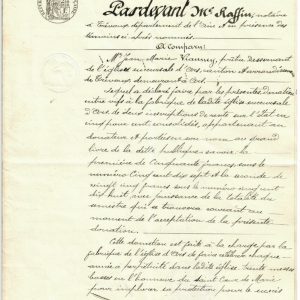 So, this is a legal document, because it was signed by a notary (here Gayot), most likely a copy asked for after the death of the original notary, Raffin. 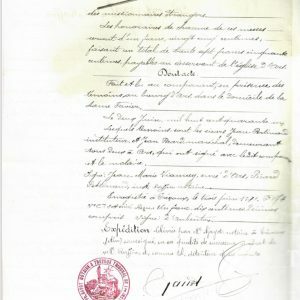 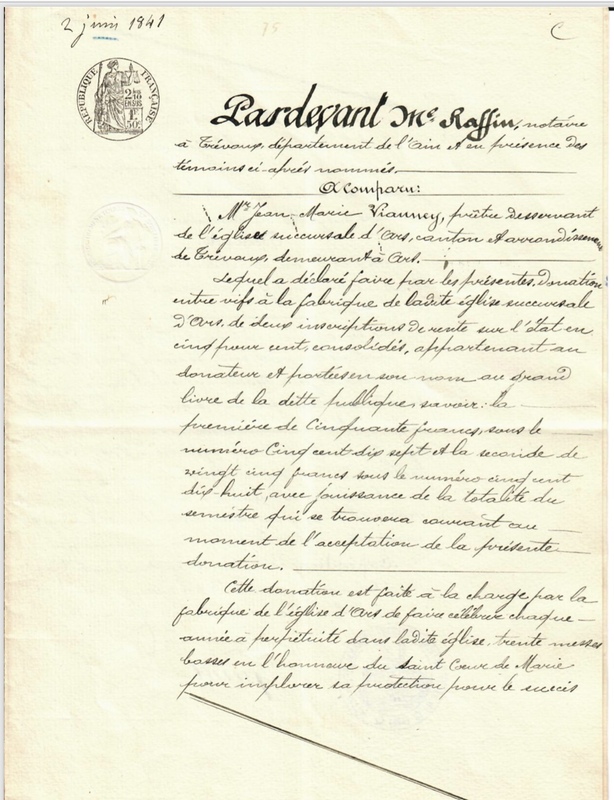 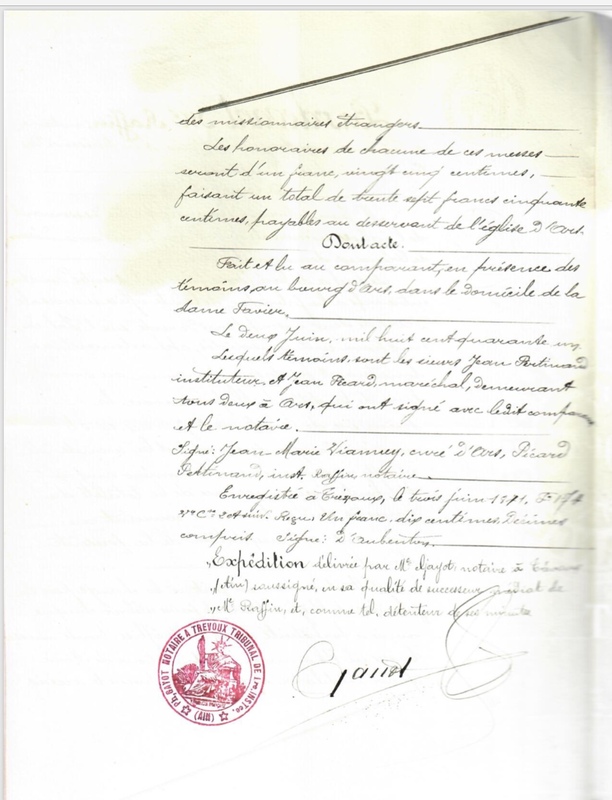 The people mentioned would have signed the original document in the presence of Raffin. 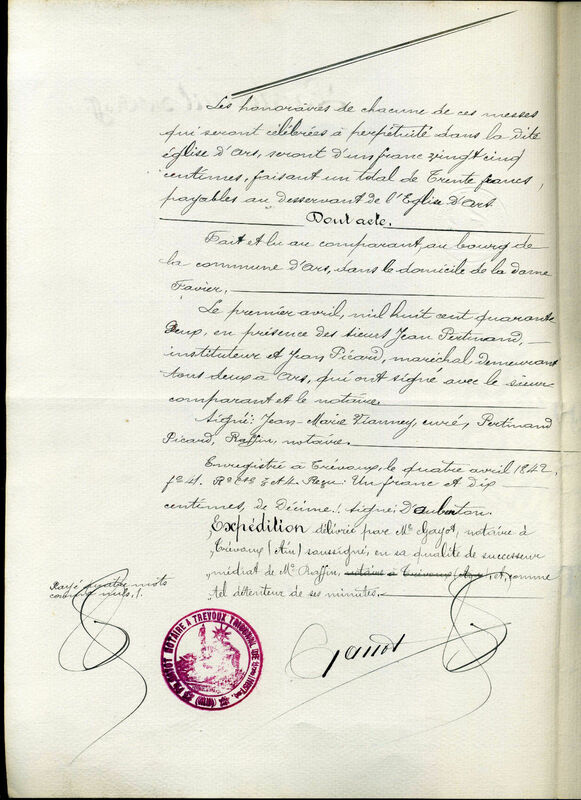 When a notary wrote an official document, he also made a copy for himself to be kept in his minutes (records) which are legal documents also. 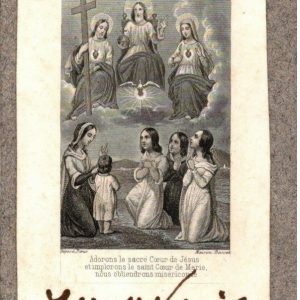 The first donation has made it the responsibility of the church council of the church of Ars to have thirty low masses celebrated annually in perpetuity in the above-mentioned church in honor of the Holy Heart of Mary to implore her protection for the success of foreign missionaries. 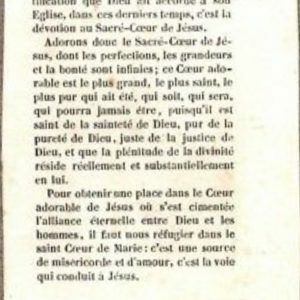 In the second legal document, the legacy is to thank God for having preserved the Holy Virgin from original sin and to ask for his protection for the children who are not yet born so that they will receive the grace of baptism. 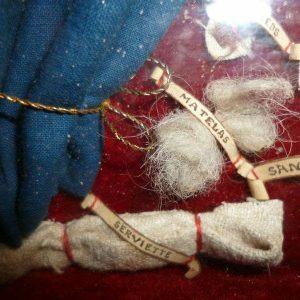 These two documents, which are rather obscure biographical incidents, truly give us a small glimpse into the life and heart of a saint so beloved for his humility and holiness he is the patron saint of parish priests. 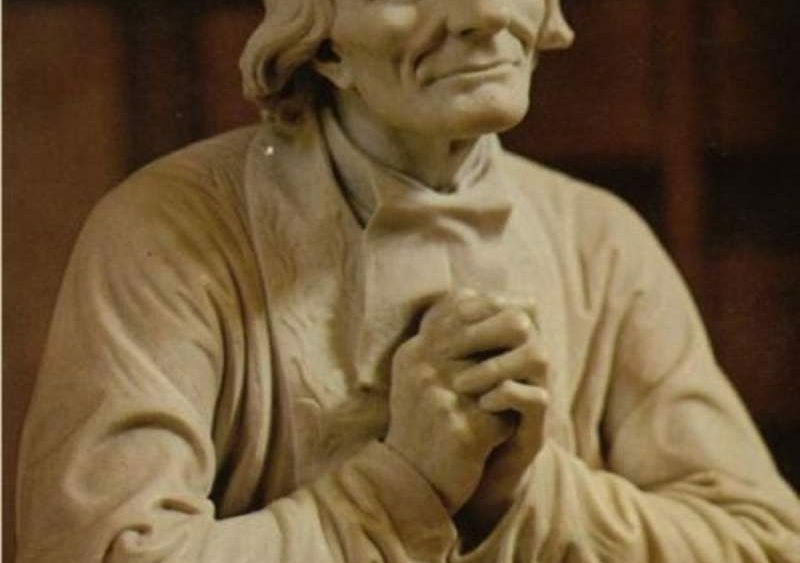 Saint Jean Vianney, pray for us!